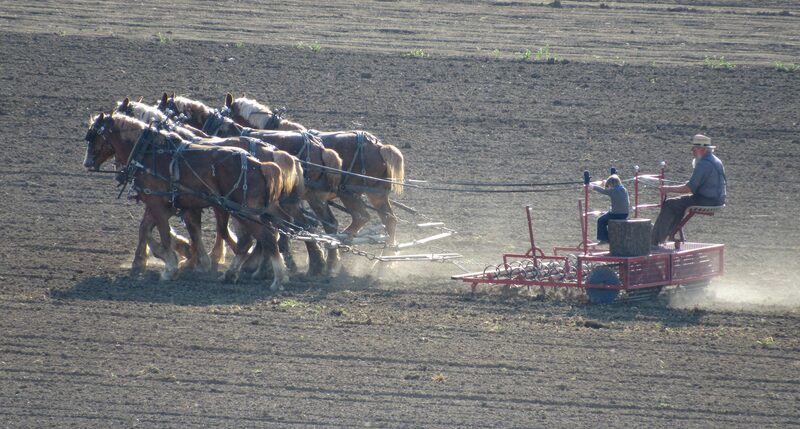 Cute as it looks, this photo shows much more than a grandson riding along as his grandfather encourages a team of workhorses across a farm field. This exemplifies the hands-on part of an Amish education. Children learn at a young age how the work gets done, whether on a farm or in a shop or the house. It is practical, productive learning at its finest. “Helping Grandpa” is my Photo of the Week. Thanks for sharing, Elaine. I wonder in your example if it has more to do with earning more money at another job than it does not wanting to work. Yes, Bruce I think that is a big part of it. They definitely aren’t slackers. Pingback: Helping Grandpa – daeze's! Thanks for reblogging my Photo of the Week. Glad it brought back those memories for you, Mary Ann.